Bhuan Agrawal – Minga With Us! An engineer, a project manager, a humanitarian…a practical mind and a jokester to boot. 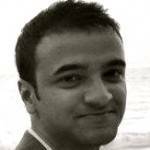 Bhuan joined our board in early 2012. Originally an engineer, he decided to take his career in a different direction and chose to pursue his International MBA degree at the IE Business School in Madrid. During his time there, he gained an interest in the issues of social impact and corporate social responsibility. After graduation, he spent several months in India and Bangladesh volunteering with a social impact consulting firm to try and understand the challenges faced by citizens of developing countries. Bhuan currently resides in the south of France where he works as a business improvement specialist in the aircraft industry.